This is a critical paper in this series on Love, Dreams, Mind, and Dharma. Contemporary Tibetan Buddhist Lamas and teachers have embraced the western sciences and medicine, to broaden, support, and as necessary change the perspectives and interpretations of the historical Dharma. 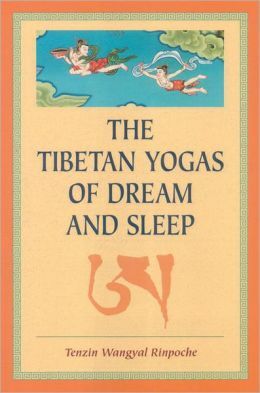 This paper presents the essence of Dream and Sleep Yogas practice. A straightforward path to choosing either lucid or restful sleep is given, drawing upon the Bon teachings of Tenzin Wagnal Rinpoche, and related to sources as beneficial. The benefits of the practice of these yogas are that one may choose to setup the conducive environment for dreaming, should that be the desired state of the night, the realm to enter on the dawning of sleep, or the natural restfulness, dwelling in the natural great perfection , the sunset of the busy mind, with the result being a night of beneficial calm and rejuvenation. The foundation for this practice is Dzogchen, where one develops an awareness of the natural state, one in which the mind is at rest and peace. In keeping with the principles of directness and a complete encompassing of the nature of reality and emptiness, and to eliminate dualistic perceptions, this writing will be as brief as possible. To achieve success, here the reader must become a hands on student, ready to practice, leaving behind academic and scholarly perceptions, moving beyond reading, beyond thinking, beyond trying… and simply doing. Dzogchen is the principal practice of achieving enlightenment, as taught and practiced in several Tibetan lineages. It will be familiar ground to those who have studied and practiced Zen, in Japanese, Chinese, and southeast Asia, being uniquely Tibetan however. Historically, Buddhism traveled from India to Tibet to China, Indochina and Southeast Asia including Vietnam, Korea, and Japan. However, in the Bon (pronounced “boone”) tradition, the teachings and practice of this lineage predated arrival of Buddhism, and while encapsulating much of the key Dharma, may, like many modern Japanese Zen schools, may be practiced simply as they are. 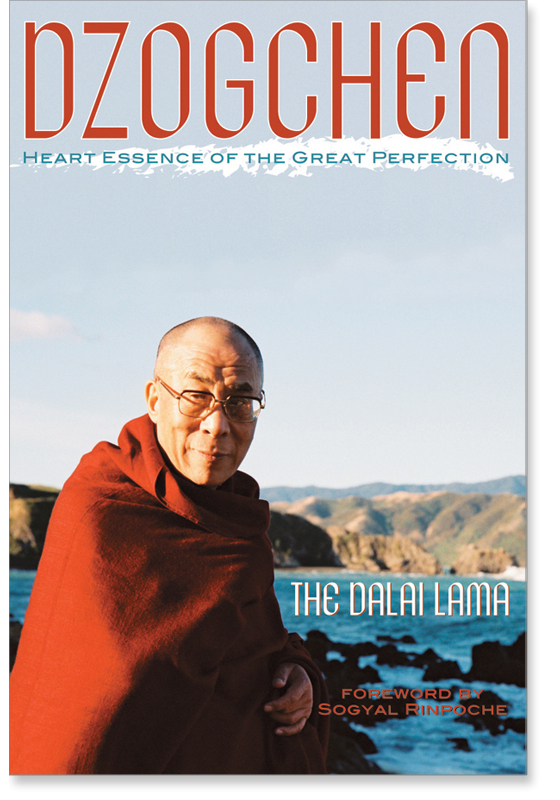 The 14th Dalia Lama has written an instructive text, titled appropriately “Dzogchen” and this is a highly recommended guide to developing a solid foundation. The 14th Dalia Lama has proven a great catalyst in motivating the merging of eastern logic and western medicine, participating in events such as the Mind and Life Symposia, and meeting with leading Western mind scientists as well as encouraging everyone to think analytically and scientifically. This Rinpoche teaches in the Bon tradition. This ancient practice predates the arrival of the Buddha’s teachings in Tibet. Before the Buddha’s followers brought the Dharma to Tibet, Bon was the primary practice of the Tibetan science of mind, medicine, and science. It is perhaps why Buddhism has achieved great fruition in Tibet, as it was received in a land rich in non Western, traditional and natural practice. Material here has been drawn from Rinpoche’s text, audio recordings of a Serinity Ridge retreat, and the Dream Yoga Visualization Card Set. For the most part, I draw upon my notes from the retreat session. Bon is pronounced “boone,” and often Tibetan Dharma is taught in a mix of English, Sanskrit and Tibetan; the audio is in English here. You can identify more easily with Rinpoche by visiting his website, ligmincha.org. There you will find recordings, photographs, and more. Being in person is of course the best way to have teachings transmitted, the oral tradition strengthening the written, and preserving the intimacy of the teacher-student bond. Therefore, I will not pretend that you will benefit as greatly by reading my simple distillation, compared to a direct teaching, any more than were I to summarize the main points of Freudian analysis, when by comparison you had the opportunity to be analyzed by Sigmund himself. But I will do the best possible, to assist you, and to respect the teachings. Aspects of this approach will be developed elsewhere, in our dream analysis and therapy papers, in conjunction with western approaches in psychoanalysis. Here, these Sleep and Dream Yogas are related as directly as possible. The teachings of Rinpoche (always “Rinpoche” here refers to the lama and teacher previously referred to, in this section) are transmitted , primarily from oral instructions of the retreat held at Lingchinpa. These should be supplemented with reading of Rinpoche’s text and related material (see references), and the most benefical foundation upon which to build may be found in the text entitled “Dzogchen” discussed below. The material is drawn from notes taken during the transmission of dream and sleep yogas given by Rinpoche during a retreat at Limingha Institute in Charlottsville, Virginia, US. The transmission is related directly, and I try not to modify or apply the material here. The reader is encouraged to read and study Rinpoche’s text, and listen to the audio recordings available (see references). This section presents the notes as taken, as directly as possible from the teachings. No analysis is attempted, nor an effort to explain the context or what certain terms mean. This will be done following, in the commentary and analysis section. Read through, even if understanding is not total, and then explore the further meaning below. The student of dream and sleep yaga enters the practice of creating Bodichitta generally, so as to maximize wisdom, minimize confusion and achieve enlightenment. Dream yoga is imagination in process. Sleep yoga- no dreams! The mind is clear of all things. If you have a very active daytime, you will have many dreams. Sleep yoga is a more difficult practice than dream yoga. You recognize a dream as a dream, and there is no ultimate truth in them. Lucid dreams are transitory. Sleep yoga is discovering clear light and Buddha nature. There is no thought, and no dreams. Being aware while awake, and at night there is dream bardo- if we go crazy during the day, it can be crazy at night, and carrying this into your dreams, it will happen in the bardo state. The signal- everything is a dream. Visions, actions, and interactions are all states of a grasping mind. Lucid dreams may be strange, a nightmare, or more realistic, as opposed to ordinary dreams which are less lucid. Meditate, remember, write down, and share the dream- it is a good feeling. 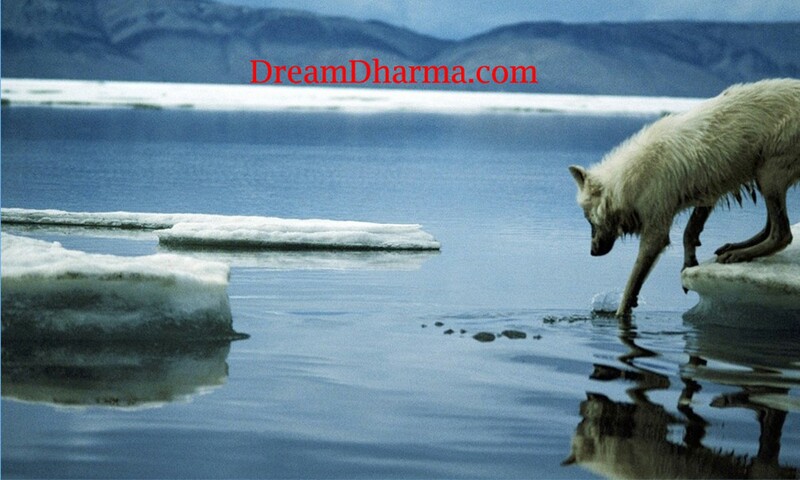 Focus when you fall asleep- that is the goal of dream yoga, to have awareness. 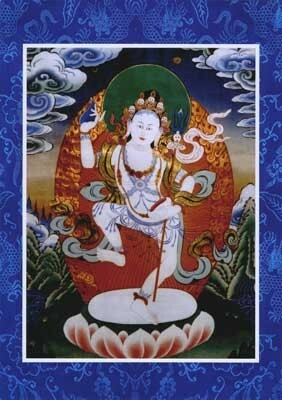 Take a picture to bed with you [such as the dakini of dreams], look at it, while you fall asleep. Connect with the image, to abide in Chakra. A picture of the Red Lotus with white Ahh, the lotus symbolizes energy and the Ahh peace. Ahh, being the Tibetan letter or syllable A, the throat chakra, leading to a peaceful feeling, with pride, voice, and a sense of importance- energy with peace. A picture of the Black Hum, indestructable, changeless, power, an open heart, openess and power. No identity is the most powerful, and clear identity is the next most powerful. When you lay your head on the pillow, find bliss. Comfortable mental position is important, the bed is the energy field. Energy = chakra + light = color: the key to entering bliss. Fall asleep in that light, energy connecting to creativity, which leads to dream. The ultimate goal of great perfection is completeness. It is not what you do, but feeling good about what you do. So a dream that makes you feel good is empowering. Connect with peaceful, powerful, fearless places. Healing, awareness, understanding of shinyata- emptiness, realization of ultimate truth. A lucid dream is one you are aware of, that you know you are dreaming. There are eleven thing that can be done. You know it is not real, so you can simply rest and relax with the dream. What you do relates to how much you can dream. You can day dream, think of what we can do in life, whereas in a real dream, there are no boundaries. Without a dream, nothing can happen! Flying as a garuda, the enlightened free bird. 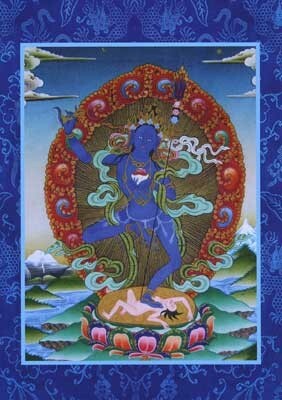 The Uidam Dakini Guardian. Samsara is discomfort occurring as a result of grapsing. Journey alone, take only your self. People dying are not familiar enough with where they are going and too familiar with where is being left, so they suffer from their attachments. You can’t hold on for too many more years, be it twenty or thirty. Al of our sufferings come from things we feel are real. Sleeping, dreaming- there is a death (or “depth”) in it. We have many nights in which to think of having a fun, mystical journey… and still sleep.